As you know, we love active travel and although some are a little adverse to cold weather travel, we love to mix the two. And while there are many places to enjoy some wintertime travel, you can’t go wrong with our neighbor to the north, Canada. Guest contributor and Ontario resident, Kirsten Gallagher, is here to share her best tips for exploring Montreal in winter, including skiing on the beautiful Mont Royal, and eating your way through the beautiful city! Tourists often mistakenly shy away from Montréal during the cold months of January and February. Located in french-speaking Québec, which is lovingly referred to as la Belle Province by Canadians, Montréal endures long winters of sub-zero temperatures and mountains of snow. 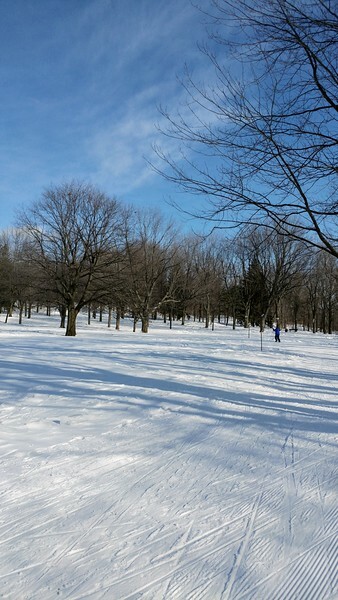 Powder white trails at Mont Royal make for some amazing ski adventures when you visit Montreal in winter. However, hardier travelers who enjoy the exhilaration of winter sports, will find that this cosmopolitan city makes for the perfect weekend getaway. Cross-country skiing, skating and snowshoeing are all on offer on Mont Royal, a lofty winter wonderland overlooking the city. Even better, working up an appetite by playing in the snow is a wonderful way to ready yourself to partake in Montreal’s eclectic and ever-evolving food scene. Mount Royal is a small mountain; its highest point reaches an elevation of 233 meters (764 feet). From downtown Montréal, Mont Royal is only a short ten or fifteen minute car ride. Head for Lac des Castors (Beaver Lake) and look for the pavilion near the parking lot. Inside, you’ll be able to rent skis, skates and snowshoes at a reasonable price (for example, 18 CAN to rent skis and poles for three hours). 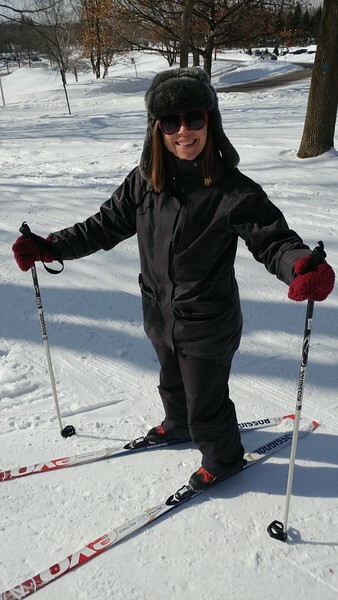 The skating rink is a modest size, best for kids learning how to stay upright on skates; active adults should opt for skiing or snowshoeing on the many available trails. Dress warmly even though you’ll be working up a sweat. I bundled up in my warmest winter jacket, snow pants, a wooly scarf and a toque for a brisk morning of ski de fond (cross-country skiing). 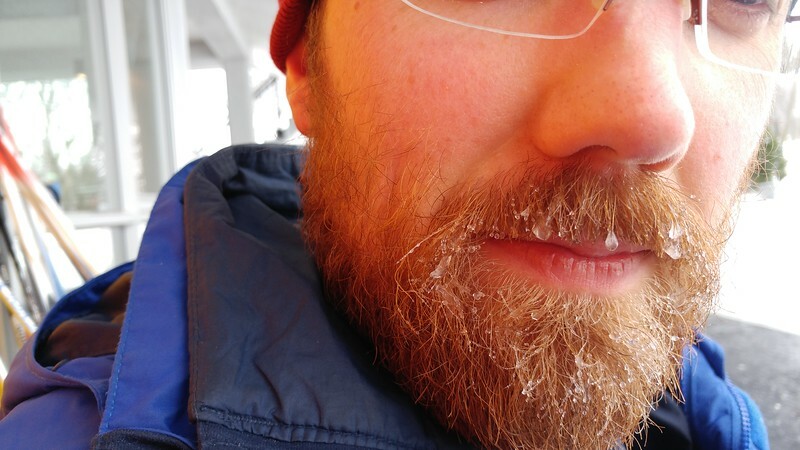 Prepare for the “icicles on beard” type of cold before you go! 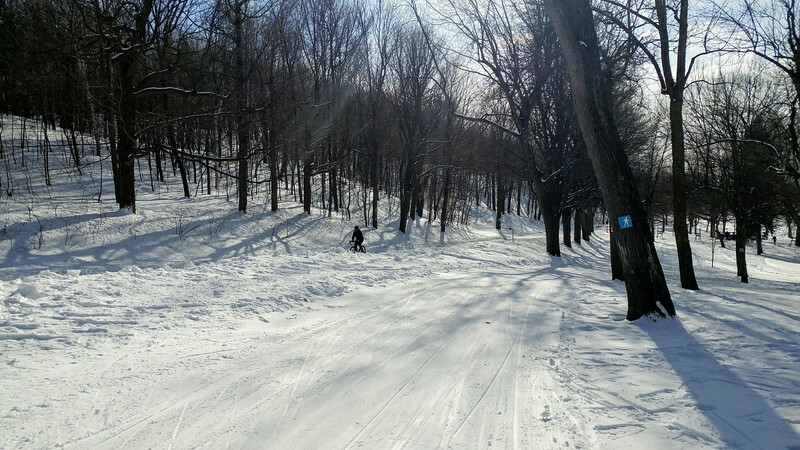 The cross-country ski trails on Mont Royal are well-groomed making it easier on beginners, who can comfortably stay within the tracks. There are seven trails in total with distances ranging from 0.7 kilometers (0.43 miles) to 5.5 kilometers (3.42 miles). On the longer trails, you’ll find a few slopes to help you pick up some speed for a minor thrill. Who’s ready to take to the slopes??? Whatever your level, the scenery is magnifique – on a cool, sunny day, the light filters through the trees lining the trails, lending a certain quietude to the mountain. Keep an eye out for some great views of the city from atop Mont Royal; it’s the best vantage point from which to visually take in all of Montréal. Montréal boasts a creative food scene that attracts fearless foodies from all over the world. There is a strong French influence, of course. If foie gras is to your taste, you’ll be delighted with rich offerings at restaurants like Au Pied de Cochon (536 Duluth E). Here, foie gras is incorporated into a number of dishes. You can even order an entire pig’s head with various garnishes. Classic dining environment at L’Original. Unfortunately, I found the food at this claustrophobic local haunt far too heavy and overpriced for my liking (and I was in an eating mood after my day of skiing). 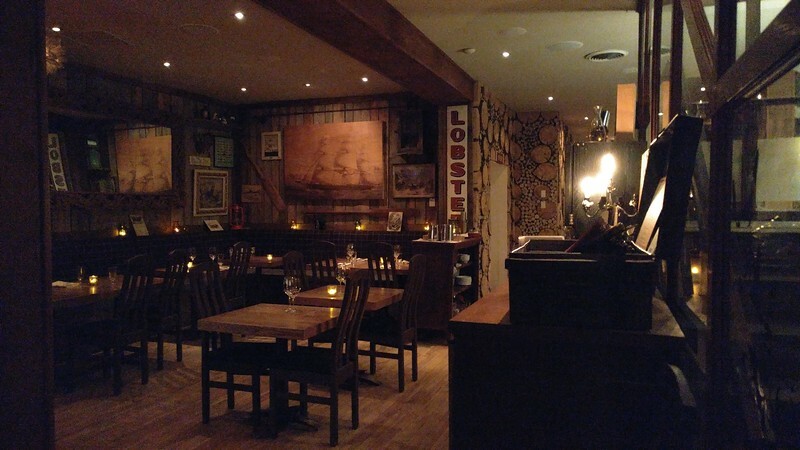 I vastly preferred both the food and the cozy cabin atmosphere of L’Original (479 St. Alexis), located in charming Old Montréal, where I devoured a generous plateful of lapin à la moutarde (rabbit in a tangy mustard sauce). 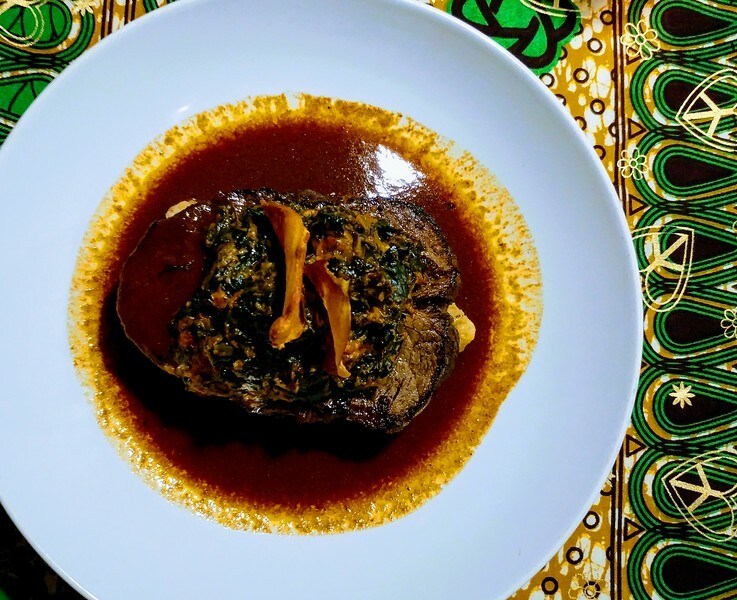 But the standout eatery of my time in Montréal was Le Virunga (851 Rachel E) which blends French and African cuisine to great gastronomic success. Le Virunga is one of the best examples of the diversity and creativity coloring Montréal’s multicultural food scene. My dish at Le Virunga. Just look at that plate! Yum! Staying in Montréal allows you to experience city life and outdoor adventure in the span of a few days. You can spend mornings skiing or snowshoeing on Mont Royal, afternoons delving into culture by visiting the array of museums and galleries, and evenings feasting on some of world’s best food. What are you waiting for? Allez-y! Looking for a place to stay in Montreal? Start your search for hotels in Montreal with us! Prefer to visit Montreal when the weather is warmer? Get started with our Montreal City Guide. Does skiing in Montreal sound like a fun boomer travel experience? Have you done it? Would you? Come join the conversation at the My Itchy Travel Feet page on Facebook. Or send us an email with your thoughts.